I do not wish to spoil this ongoing series. This issue just hit the shelves of my LCS yesterday. It is another wide-sweeping universe-changing deal and I’m sure you can find better spoilers elsewhere in the internetsphere. I will say that so far I am pleased with the book. 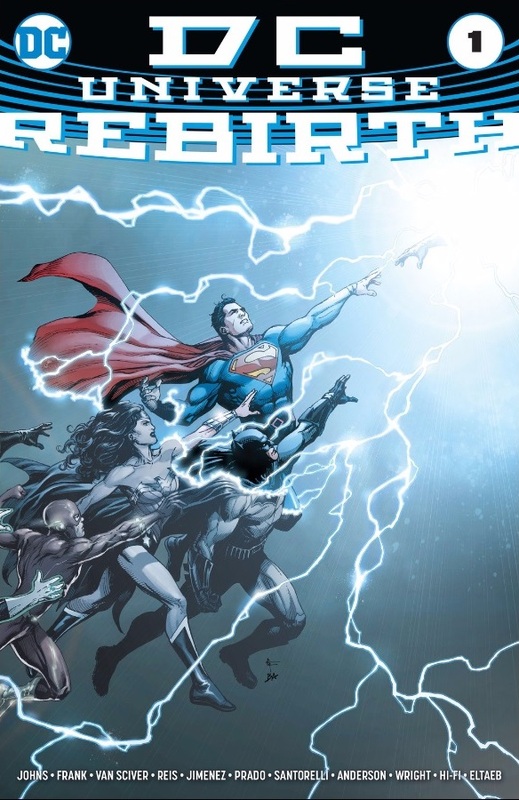 I still have faith in Geoff Johns and I look forward to the DCU more closely resembling “my” DCU (post-Crisis on Infinite Earths, pre-Infinite Crisis). I do believe that is Captain Atom! So what does this mean for the character? I honestly don’t know. It has been almost a year since we heard there may be a new Captain Atom series in the works. And this guy certainly isn’t the New 52 Captain Atom. There have been news reports of late that the Watchmen universe is being absorbed into the new DCU. 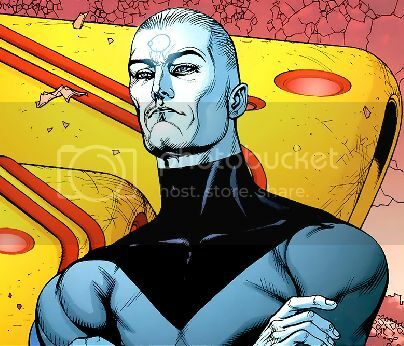 Dr. Manhattan is the analog for Captain Atom. Given the similarities of the New 52 Cap and Dr. Manhattan, it would make sense to not have both of them running around at the same time. 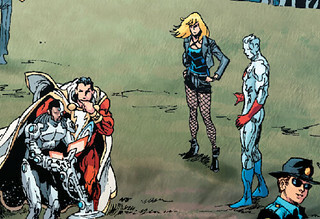 So it looks to me like maybe we’re getting the classic silver-skinned, time-jumping Captain Atom back! If nothing else good comes from Rebirth, I’ll at least be happy if we get our old Cap back. Even happier if he gets an ongoing series.